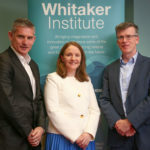 Chris Curtin is Professor of School of Political Science and Sociology and Vice President for Innovation and Performance at the National University of Ireland, Galway. He is author/editor of 8 books, over 60 articles/book chapters and more than 20 national and international reports, mainly on the theme on rural change and rural development. Chris has carried out research on rural development for the past twenty-five years with colleagues in Ireland, in Europe and in the United States. He is active as an independent expert for the European Union, the United States Department of Agriculture, and many third sector institutions. In addition to his work at the National University of Ireland, Galway, he has taught at universities in the UK, in mainland Europe, the United States and Mexico. In the past three years he has participated in the third and forth EU Research Programmes and is currently involved in the Fifth Framework Study: Restructuring in Marginal Rural Areas (The role of social capital in rural development).He has been active in the European Union's Erasmus and Socrates higher education programmes .He designed and has responsibility for the Diploma in Community Development Practice which has been used by many Irish Leader companies as a core element of their capacity building programmes .and has extensive experience in evaluating rural development programmes. (1997) Rural Poverty in Ireland. (1996) Poverty in Rural Ireland: A Political Economy Perspective. (1996) The State, Self-Help Groups and Development in the West of Ireland. (1988) Introduction to Irish Studies. (1987) Gender in Irish Society. (1986) The Commoditization Debate: Labour Process, Strategy and Social Network. (1983) Culture and Ideology in Ireland. (1998) Coordination of Local Development Initiatives in Co. Galway. (1998) Undertaking Regional and Local Planning: Conceptual and Practical Considerations with reference to the West of Ireland, Research Report No. 8. (2008) The politics of civil society: Neoliberalism or social left?. (1996) Social development: The developmental perspective in social welfare - Midgley,J. (1983) SOME OBSERVATIONS ON THE STEM FAMILY IN IRELAND RECONSIDERED. (1983) IRISH FARM FAMILIES FACTS AND FANTASIES. (2004) The politics of rural development programmes in Mexico. Research papers, Centre de Estudios Rurales, El Colegio de Michaocan. (2003) Creating an Irish lake district to accelerate rural development. (1999) Mexican Rural Development Programmes. Occasional Papers, Centre de Estudios Rurales, El Colegio de Michaocan. (1998) Local development issues in Ireland and Mexico. Occasional Papers, Centre de Estudios Rurales, El Colegio de Michaocan. (2011) CDI and Community Engagement: FifthThematic Report for CDI's Process Evaluation. Galway: Child and Family Research Centre. (1998) Co-ordination of local development initiatives in County Galway. International Centre for Development Studies. (1998) Coordination of Local Development Initiatives in Co. Galway, International Centre for Development Studies, NUl, Galway. (1998) Undertaking regional and local planning: conceptual and practical considerations with reference to the West of Ireland: Research Report. Social Science Research Centre. (1993) Evaluation of the Forum Project. Report to the Poverty 3 Programme. (1992) Confronting the Problem of Unemployment in North Mayo. Report to North Mayo PESP Company. (1989) Integrated Development Plan for East Clare. (1989) Clare Action Southwest Plan 1989-1993. (2008) The politics of civil society: Neoliberalism or social left?. Critical Social Policy. (1996) Social development: The developmental perspective in social welfare - Midgley,J. International Social Work.